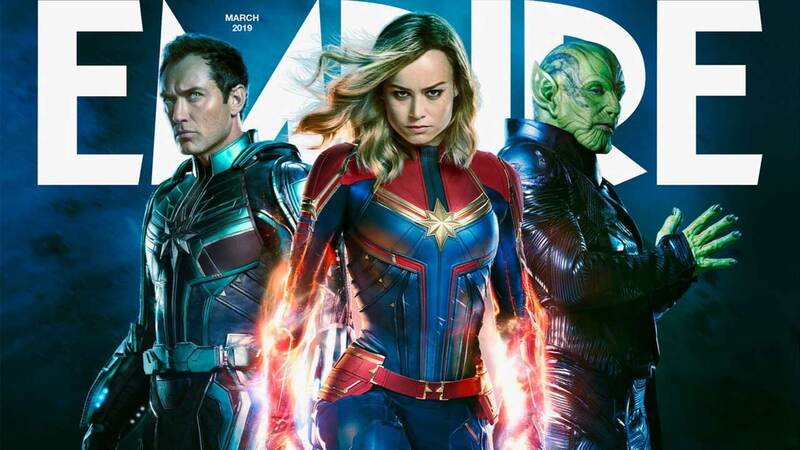 Inspired by Mark Ruffalo, Brie Larson has gone ahead and leaked the Empire Magazine Cover of Captain Marvel due out on stands later this week. Now before you misinterpret this, Larson is very well aware of the “leak” with the entire exercise being just a marketing stunt. She posted the hi-res cover on her official Twitter handle while also giving a shout-out to Mark Ruffalo, lamenting that he can’t be the only one spoiling stuff. The cover itself isn’t anything ordinary although the placement of characters could spark some debate. The poses are ones we’ve seen before and it appears they’ve just been mashed (read: photoshopped) together to create the illusion of one single image. That said, Jude Law’s character on the opposite side of Skrull-leader Talos should give rise to fan debates about the nature of his role, given how its already shrouded in secrecy. Captain Marvel has been building up a strong buzz so far, with positive early box-office tracking and pre-release sales. Posters and TV Spots are flowing by, including a recent onslaught of the movie’s character posters. It’s hard to believe but we’ll be able to see the movie in theaters in less than two months now. Captain Marvel is set for release on March 8, 2019. Get your tickets now if you’re in the United States and read our coverage right here on Appocalypse.